With a 200-acre lake and surrounding 1,200 acres of rolling hills and valleys, Lake Junaluska is a popular Haywood County destination for visitors and locals alike. There are plenty of fun things to do and great places to stay in Lake Junaluska, North Carolina. If you are in need of a vacation rental for your next trip to the lake, you’ll find plenty of options. From private homes with lakefront views to hotels and inns with lakefront rooms, there is no shortage of places to stay in Lake Junaluska! Find a place to stay here. Lake Junaluska is the ideal location for families and friends to come together and enjoy respite, relaxation and the majestic beauty of the Great Smoky Mountains. Below are a few fun things to do while visiting Lake Junaluska in Haywood County. Rose Walk – The iconic Rose Walk is a section along Lake Shore Drive lined with rose bushes. Lake Junaluska Walking Trail – This paved walking trail surrounds the lake and offers visitors breathtaking views of the mountains. Boat Tours – Guided boat tours of Lake Junaluska are available in the summer. Lake Junaluska Fishing – There are many places to fish in Lake Junaluska, North Carolina. One of the most popular spots is the lake itself. While fishing in Lake Junaluska is permitted, a North Carolina fishing license is required. Smoky Mountain Folk Festival – This two-day event features the finest traditional South Appalachian music and dance around. The Lake Junaluska Singers – Performing sacred music, folk tunes, gospel favorites, patriotic selections and music from Broadway, this 16-member choral group tours the Southeast and hosts several full-length concerts at Lake Junaluska each year. Independence Day at Lake Junaluska – Don’t miss an incredible weekend of music and fun, which includes three concerts, a parade, special meals, and much more. Balsam Range Art of Music Festival – A two-day festival featuring some of the top bluegrass and acoustic musicians in the nation. Lake Junaluska Golf – Lake Junaluska has an 18-hole, on-site golf course for the golf enthusiast in the group. Appalachian Christmas – Awaken the spirit of Christmas through festive live music, hearty meals and local artistry. Swimming, paddle boarding and canoeing are also popular activities during the summer. 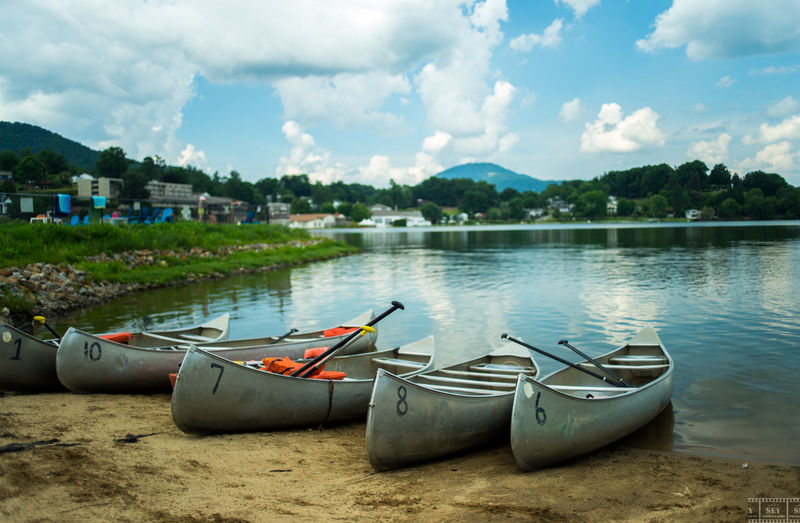 Wherever you look, there is an abundance of things to do at Lake Junaluska! Check out things to do here. Lake Junaluska refers to both a conference and retreat center and the community that surrounds it. For more than 100 years, Lake Junaluska has been a place for people seeking relaxation, recreation and renewal. Lake Junaluska first opened its doors in 1913 to serve the United Methodist Church. Today, Lake Junaluska hosts groups of all types and sizes, and people are also welcome to stay in the hotels, rent a vacation home or recreate at the lake. There are 16 gardens located at Lake Junaluska, as well as a 2.3-mile walking trail around the lake. The World Methodist Council, a consultative body linking almost all churches in the Methodist tradition, is located at Lake Junaluska. In 1913, the Second General Missionary Conference of the Methodist Episcopal Church, South convened in Lake Junaluska, before the lake was even filled.